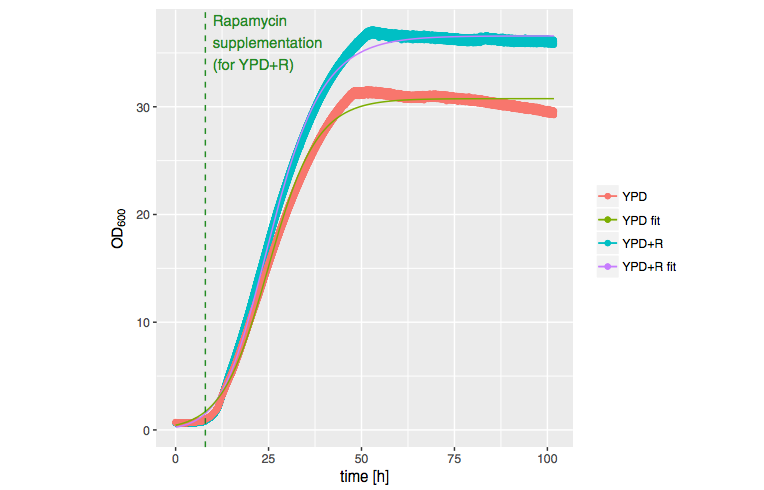 In this study, the CGQ was used to determine the impact of rapamycin on Trichosporon oleaginosus growth kinetics, which was part of a first-time evaluation of rapamycin’s effects on TOR specific signaling pathways associated with lipogenesis in the T. oleaginosus fungus. Real-time measurements of Saccharomyces cerevisiae cell growth in tCA toxicity assays were performed by the CGQ and contributed to a proof of concept and strain creation that could be used to produce high-value aromatic compounds. If you are curious whether the CGQ would fit your own research, you can check here what other types of cells and applications it has been tested for.